We conducted a telephone interview with Ms. Almut Fischer, Head of Human Resources at GEFA BANK GmbH. In addition to managing a 12-person team across 8 locations, Ms. Fischer has a variety of HR responsibilities and is often on the move through various locations. We are especially pleased that she took the time to talk with us in an interview about her current challenges and best practice examples in recruiting. For more than 60 years, GEFA BANK has been successful in sales and investment finance for mobile assets in Germany. As a subsidiary of the internationally known banking group Société Générale, they support medium-sized companies as well as manufacturers and dealers with innovative financing solutions and intelligent services. 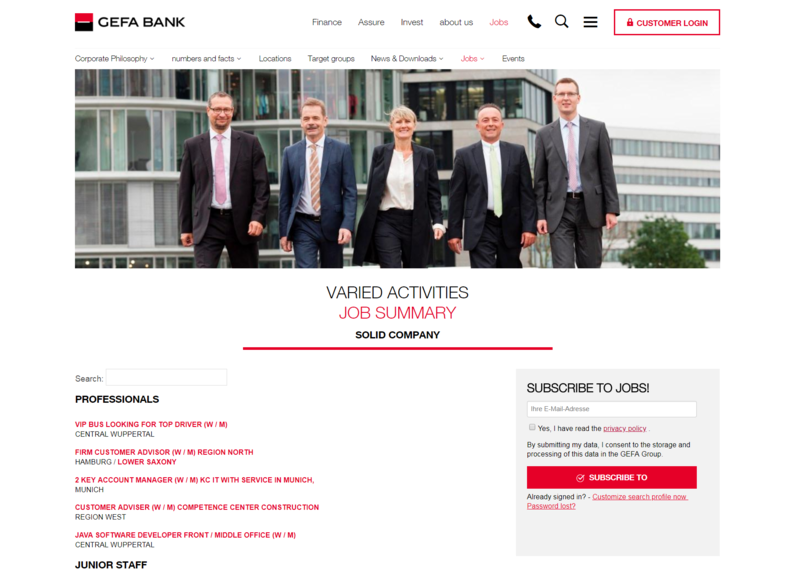 GEFA BANK employs around 700 people across 8 different locations in Germany. Talention: "Please introduce yourself and your company, GEFA." 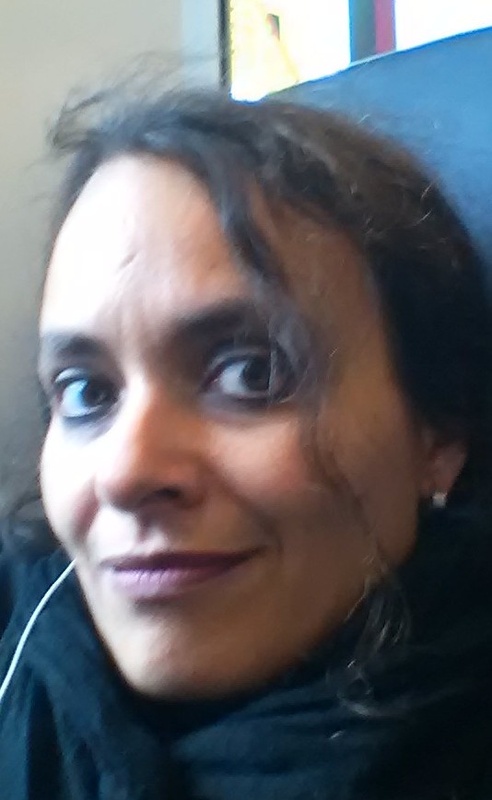 My name is Almut Fischer and I have been the HR Manager at GEFA Bank GmbH since 2016. GEFA Bank GmbH is a bank and leasing company focused on German SMEs. The GEFA has about 700 employees in Germany with 12 people in the HR team. We are a subsidiary of the international banking group Société Générale. Talention: "What was your biggest challenge in recruiting before Talention?" A major challenge for us was the development of an employer brand. We are very well known to competitors. However, when it comes to filling junior positions, we had the problem that we did not have a very well-known employer brand. In this area, it was difficult for us to find candidates and then pique their interest to apply and, above all, to keep the effort of the application process as low as possible. Talention: "What has changed with Talention?" For example, we use the research tool very often to find the right job titles. Otherwise it can happen that the job advertisement is not found by suitable candidates, because they are looking for other job titles. From time to time, titles such as "trainee" come up. Everyone knows this term, but we have not been successful against other companies with such job titles. We have had a much better experience within our target group with terms like "Junior Account Manager". Here we address a target group, who in many cases already have a bank apprenticeship or similar experience, and their qualifications are a good fit for us. The review in the research tool is an important step for us to get a feel for the right keywording. Often, names come from our departments that are not known in the applicant market. If we use these terms, no applications will be received. We also decided to focus our employer branding on the city of Wuppertal because there is a university there with a lot of emerging talents. This target group is highly interesting and realistic for us. It was important to know how to design our career site to convince these candidates to apply. In a second step, we had to reduce the amount of effort to fill out an application. We were able to implement this through individualized application forms. What we would like to develop even further is a pool of interested people, so that we can also recruit from there. Another big relief was that the channels of job boards are connected to Talention and posting the job advertisements can be handled in one step. Talention: "What was the decisive argument for Talention for you? What did you like best?" Talention fits in particularly well with companies of our size (700 employees). Medium-sized companies especially feel the shortage of skilled workers and have a problem getting a certain quality of applicants. Talention has the great advantage of being able to measure influencing factors in the application process. The pure number of incoming applications can be measured by any software today, but with Talention you can see in the funnel analysis where you are losing candidates and where to optimize the application process to increase the number of applicants and quality. What I also liked is the idea that you should adapt the application process to the target group. Talention offers evaluation options that we have not seen in other tools in such a form. In Talention, you will find all important data from the recruiting process easy to understand and clearly arranged. This makes data and processes transparent, without having to spend a great deal of effort or having to attend a training course in order to read them. Also, I have never seen the research tool like this before. The combination of these tools with the campaign management and an applicant management means that we have all processes bundled together in one tool. Another decisive factor in deciding on Talention was the service that Talention offers, such as online training on specific topics or constructive evaluations. Talention: "Thank you for this insightful interview!"